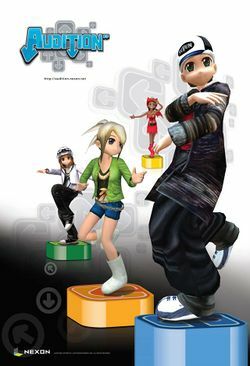 Audition (also referred to as Audition Dance Online and Audition Online Dance Battle) is an online multiplayer rhythm game for the PC. Players compete in "dance battles" that range in style from free-for-alls to team matches. In every "battle" players press combination of keys that cause their character (avatar) to dance either successfully or not. Successful combinations are rewarded with points, and the victors of battles are declared so by the number of points they earn in relation to other competitors. This page was last edited on 26 August 2016, at 23:34. This page has been accessed 20,393 times.